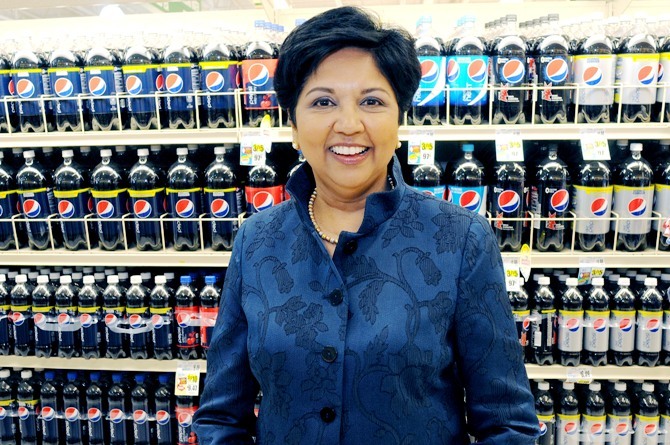 PepsiCo's India-born CEO Indra Nooyi has been ranked third most powerful businesswoman by Fortune, the only Indian-origin woman on the 2014 list topped by IBM Chairman and CEO Ginni Rometty and General Motors CEO Mary Barra. Fortune said nearly half the women on 'The Most Powerful Women in Business 2014' list run huge companies, which is a record and "all are working hard to transform their businesses." 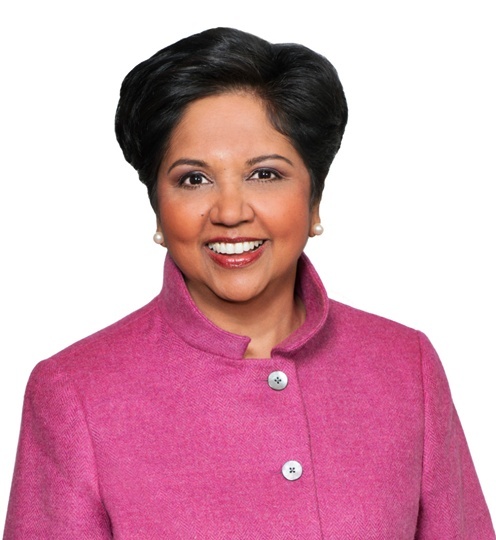 Nooyi, 58, dropped from the second position she held last year to third. In 2013, of 50 bestselling new food and beverage products in the US, nine came from PepsiCo -- Starbucks Iced Coffee, Muller Quaker Yogurt, and Mountain Dew Kickstart. "In July the company raised its profit growth forecast for the year, which should help Nooyi counter calls by activist investor Nelson Peltz to break up the food and beverage giant," the publication said. Topping the list for the third time is Rometty, whose strategy of investing in new technologies is showing results. Even though IBM's revenue declined for the second consecutive year, falling nearly 5 per cent to $99.8 billion in fiscal 2013, its revenue rose 69 per cent for each division last year. 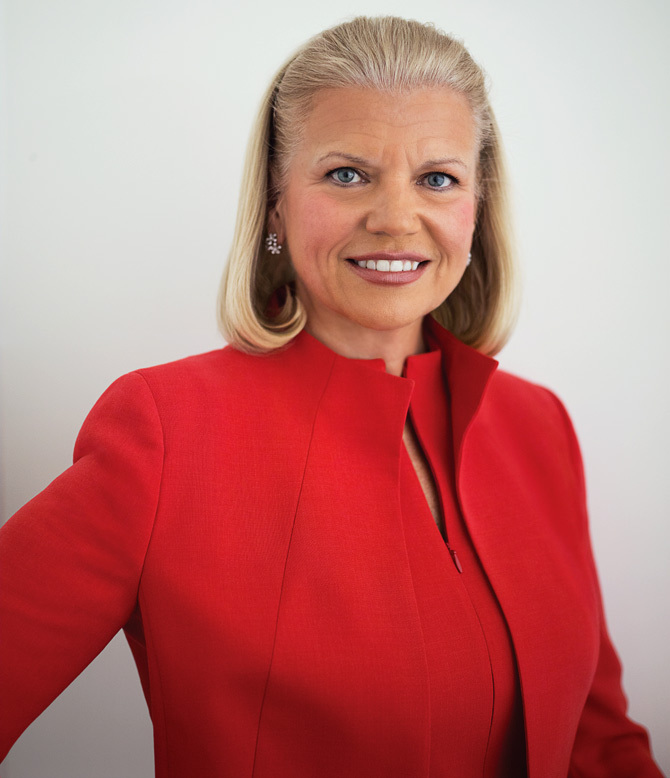 Rometty has also signed strategic partnerships, such as a deal with Apple to provide IBM's services on the iOS platform. Rometty has also pledged to invest $1 billion in the development and commercialisation of the cognitive computing system, another future growth area for the company. 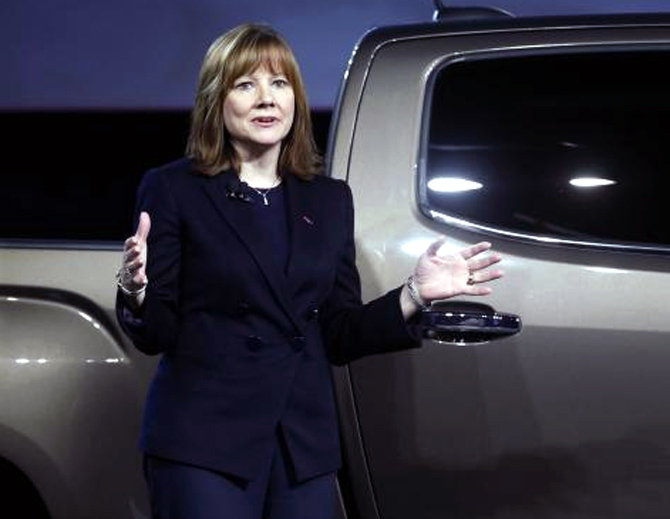 Barra became the auto industry's first female CEO in January and promptly faced GM's largest vehicle recall ever, 29 million so far from a faulty ignition switch linked to at least 13 deaths since 2005. 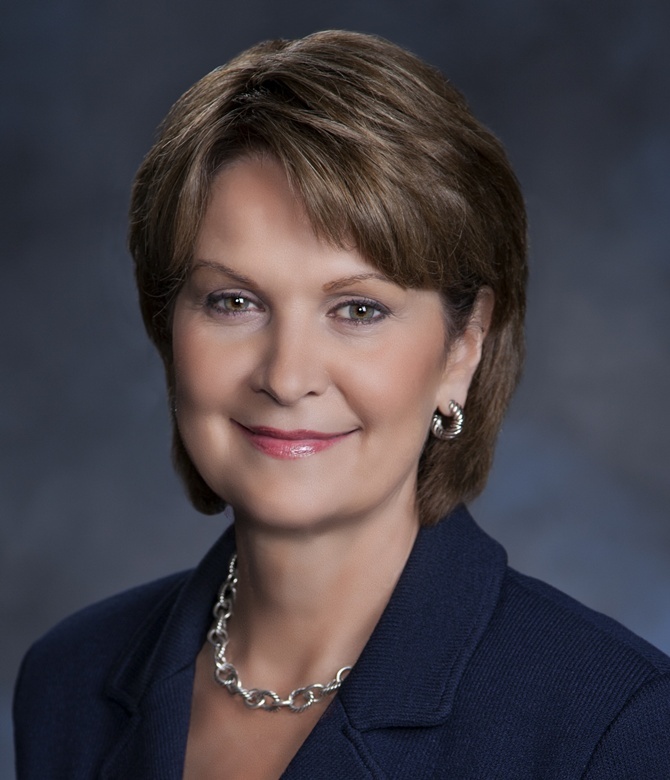 The list also includes aerospace and defence giant Lockheed Martin's Chairman, CEO, and President Marillyn Hewson at number 4. 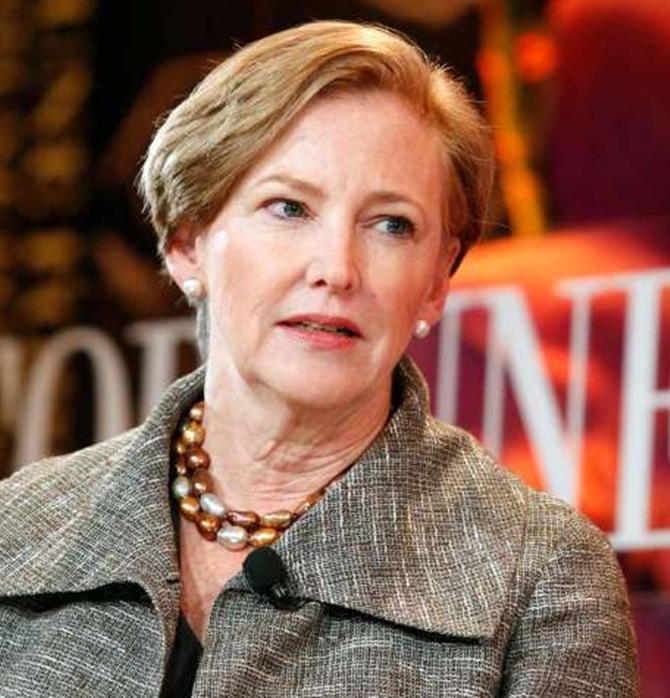 Bioscience firm DuPont CEO Ellen Kullman is ranked at rank 5. Hewlett-Packard Chairman and CEO Meg Whitman on the 6th position. Facebook's Sandberg slipped in the rankings from fifth postion to 10th. Fortune said last year was all about Sandberg as her bestselling book 'Lean In' helped her become the face of corporate gender equality. 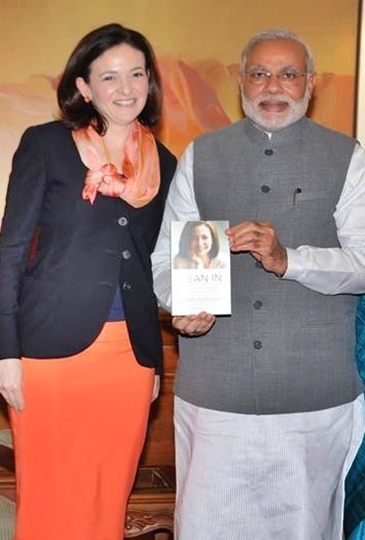 Facebook Chief Operating Officer Sheryl Sandberg meets Prime Minister Narendra Modi. "This year is all about Facebook. Its 2013 profits jumped an astounding 2,730 per cent, mainly because of increased revenue from mobile ads, and it announced huge deals in early 2014 to acquire virtual-reality company Oculus VR for over $2 billion and buzzy messaging platform WhatsApp for $19 billion," Fortune said. As CEO Mark Zuckerberg's number two, Sandberg remains "crucial to the company's long-term strategy". She's also the best-paid woman on the list, making $38 million last year. (18), YouTube CEO Susan Wojcicki (19), Intel President Renée James (21), Avon CEO Sheri McCoy (27), Apple Senior Vice President, Retail and Online Stores Angela Ahrendts (29) and CEO, Asset Management at JP Morgan Chase Mary Erdoes (32).